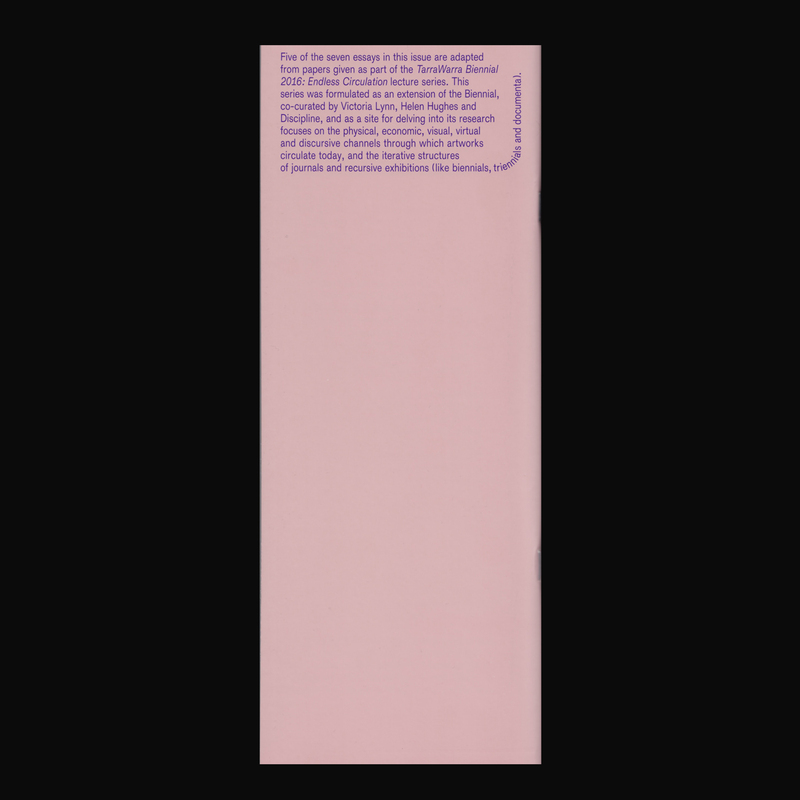 Edited by Helen Hughes, with editorial assistance by Amelia Winata, designed by Robert Milne & Fabian Harb. 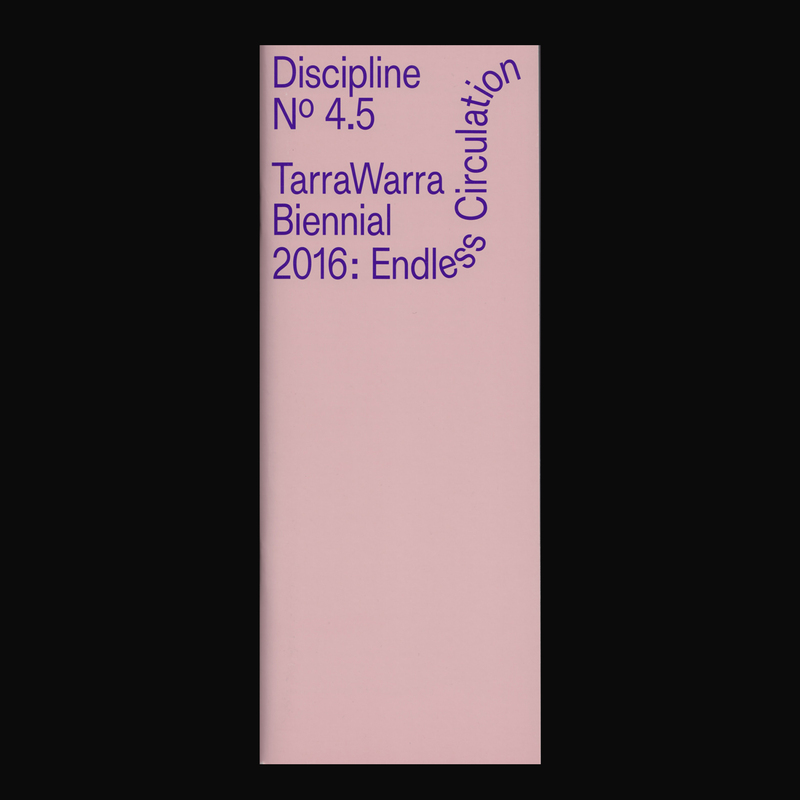 Five of the seven essays in this issue are adapted from papers given as part of the TarraWarra Biennial 2016: Endless Circulation lecture series. 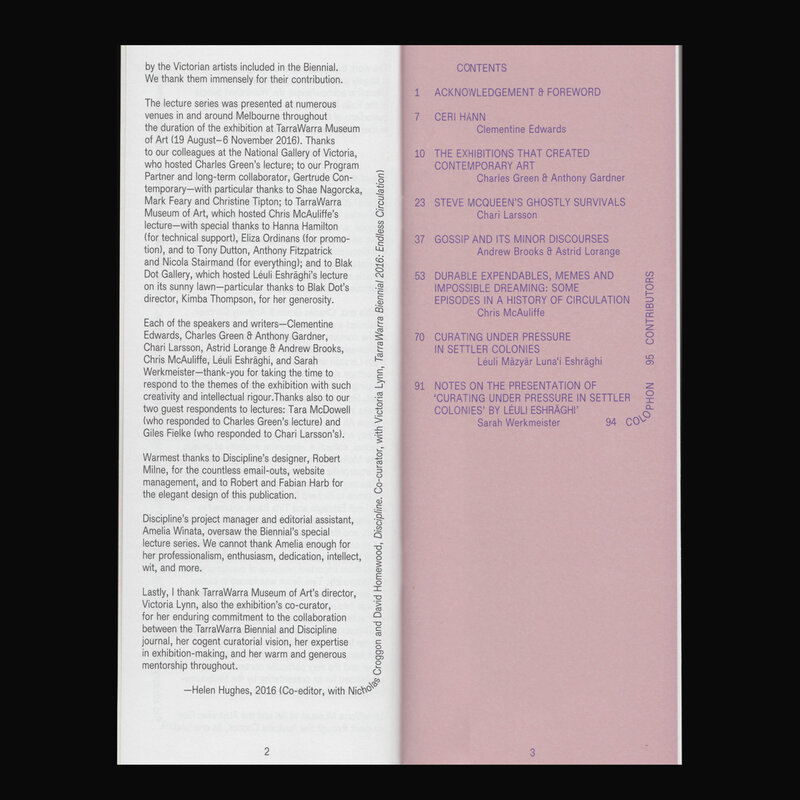 This series was formulated as an extension of the Biennial, co-curated by Victoria Lynn, Helen Hughes and Discipline, and as a site for delving into its research focuses on the physical, economic, visual, vir­tual and discursive channels through which artworks circu­late today, and the iterative structures of journals and recursive exhibitions (like biennials, triennials and documenta).